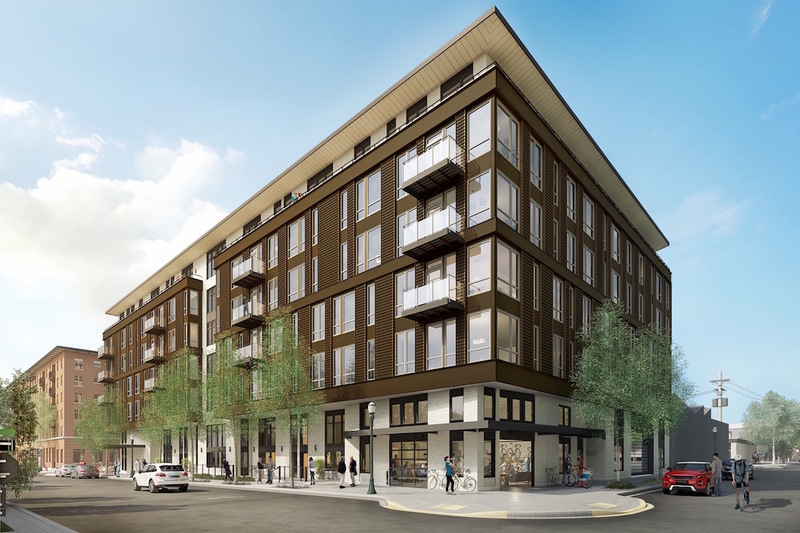 The Design Commission has approved 1400 Raleigh, a 6-story apartment building at the corner of NW 14th Ave. and Raleigh St. at the far north end of the Pearl District. 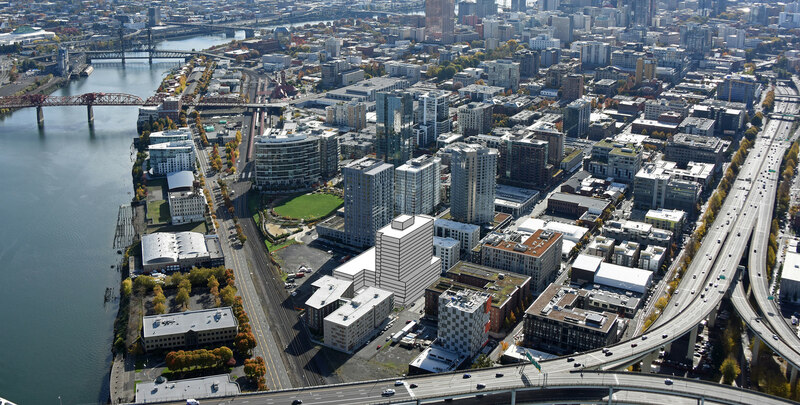 The building by Encore Architects and Alliance Realty Partners will include 136 apartments on the upper floors and 11 live/work units and a retail space on the ground floor. The Broadstone Pearl apartments have gone before the Design Commission for a second Design Advice Request hearing. 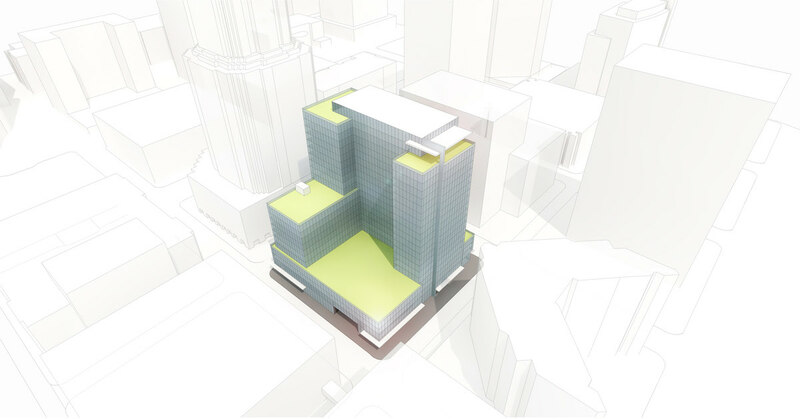 The proposed building is by Encore Architects and Alliance Realty Partners, both based in Seattle. 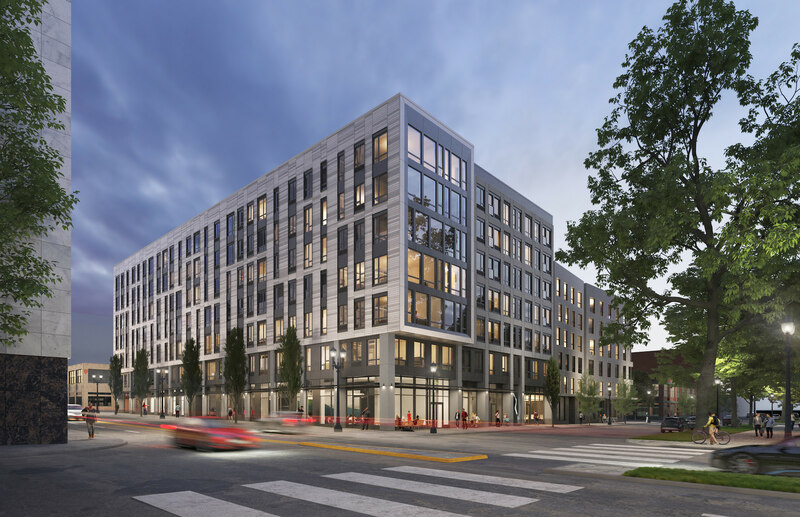 Merryman Barnes are acting as the local architect on the project, which will include 147 residential units, 75 parking stalls and 231 bike parking spaces. 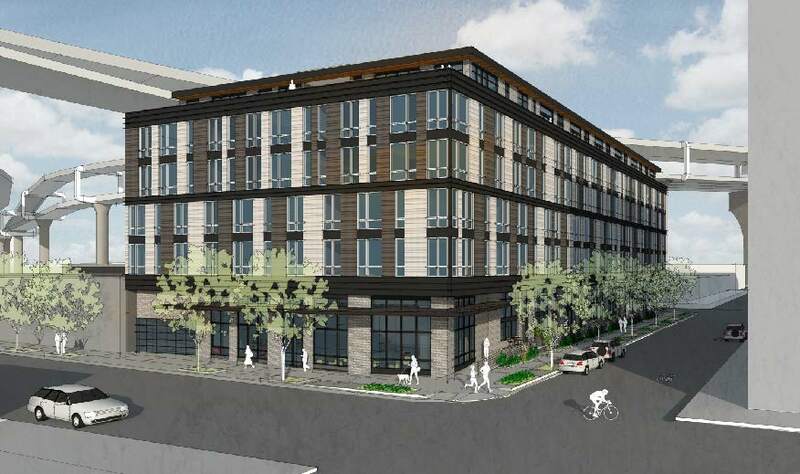 The proposed ground floor program is primarily live/work units, with a 707 sq ft retail space proposed for the corner of NW 14th Ave and Raleigh St.
Encore Architects of Seattle and Alliance Realty Partners have received Design Advice from the Design Commission for the Broadstone Pearl, a proposed apartment building at 1400 NW Raleigh St. 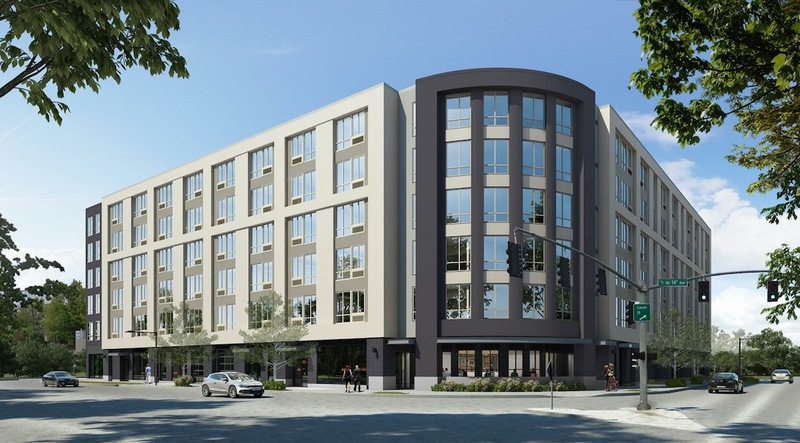 The 6 story building would include 146 apartment units and 93 parking stalls, with garage access from both NW Quimby St and NW 15th Ave. A 709 sq ft retail unit is proposed at the corner of NW 14th Ave and Raleigh St.